If you’ve been to the movies, watched TV, or watched Transit TV while on LA Metro, you’ve probably seen our 3-D commercial, directed by Brian Daly, produced by Mob Scene, narrated by Morgan Freeman, and starring Chris Burden’s Urban Light. We’re proud to announce that our commercial has just won a Telly Award for its use of 3-D! The commercial was made possible last year by its executive producer and LACMA trustee Carole Bayer Sager—a name we seem to be bringing up a lot on Unframed. The Telly Awards have been around since 1978 and are devoted to honoring television commercials, video and film productions, and work created for the web. This year they received more than 11,000 entries from five continents, so we’re quite honored to have topped the field in the 3-D category. Congratulations to Brian and Mob Scene. 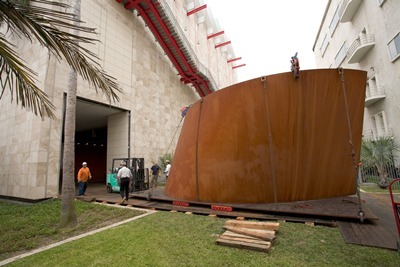 After three years of being installed on the first floor of BCAM, Richard Serra’s Sequence sculpture is moving to a new home at the Cantor Arts Center in Stanford, CA. 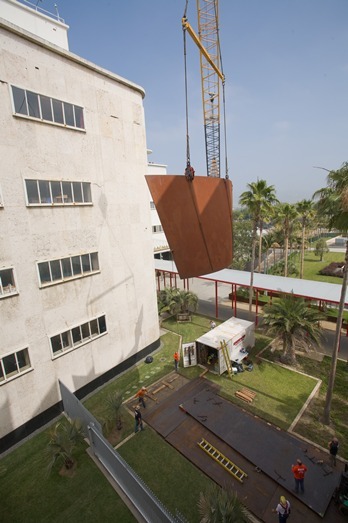 Moving the 213 metric-ton work made up of segments of cor-ten steel pieces was no easy feat. The deinstallation crew split the piece into its smaller parts, moved each piece individually through the “barn doors” on BCAM’s west side, and then, with the help of a massive crane, moved all pieces to the area just west of the Resnick Pavilion. Most people never see the hidden doors. The first piece of Sequence exits BCAM. The crane begins to move the first piece. 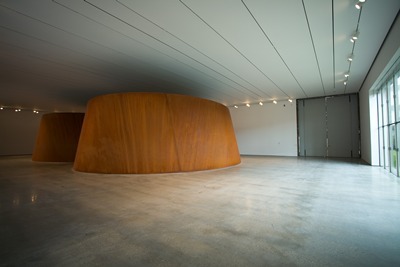 Staff and visitors held their breath as the piece was carried just near—but not over!—the Resnick Pavilion. This process was repeated for each piece over a couple of days until the full sculpture was successfully moved from BCAM. 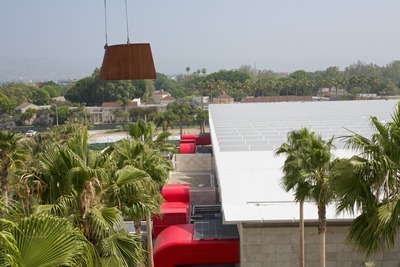 If you weren’t able to see Sequence at LACMA, it will be on view at the Cantor Arts Center until 2016, when it will be presented as part of the inaugural installation of the Fisher Collection in the expanded San Francisco Museum of Modern Art. 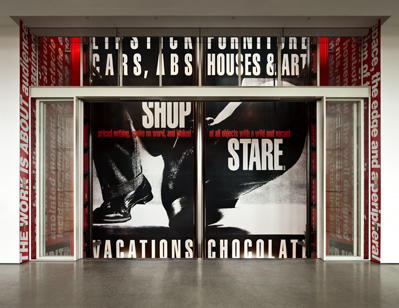 The three-story elevator shaft of BCAM showcases a piece that LACMA commissioned from artist Barbara Kruger in 2008. 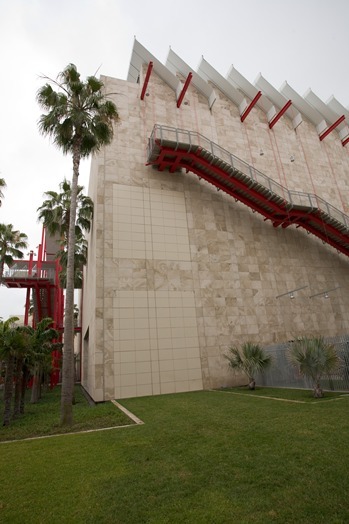 However, the extremely large-scale digital print wall installation, some 94 feet high, was not technically part of LACMA’s collection—until today, thanks to a gift from LACMA trustee Carole Bayer Sager. This is one of two major Kruger acquisitions being announced today: just down Wilshire Boulevard, the Hammer Museum also announced the acquisition of Kruger’s video installation The Globe Shrinks (2010). You can also read a report on the acquisition in today’s Los Angeles Times. Untitled (Shafted) is already well-known to LACMA visitors who are visually bombarded with Kruger’s messages while waiting to take the elevator up or down. 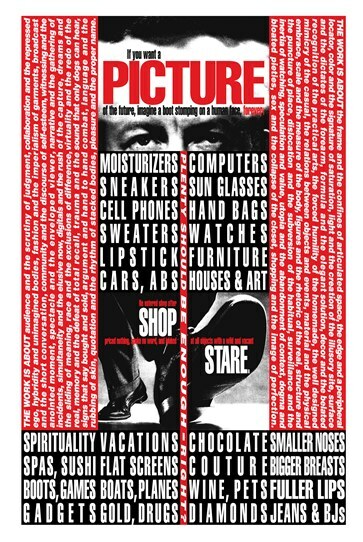 Using a litany of common products—“MOISTURIZERS, COMPUTERS, SNEAKERS, SUNGLASSES, HAND BAGS, SWEATERS”—these words are bisected by the phrase “PLENTY SHOULD BE ENOUGH—RIGHT?”, illustrating Kruger’s use of advertising text and sensational phrasing that critique consumerism, misogyny, power, and desire. Conceptual artist Kruger began her career as a graphic designer, formalizing her practice as an artist by the late 1960s after studying for a year at Parsons, where photographer Diane Arbus was one of her teachers. Arbus introduced Kruger to the world of commercial and fashion photography. Kruger’s appropriated imagery coupled with powerful language and bold typography, motifs that have become her signature, is drawn from graphic design vocabulary. Recently, we had the fun of shooting video interviews with several designers who are part of our upcoming exhibition California Design 1930—1965: “Living in a Modern Way”. All were active in the postwar period, making everything from furniture to jewelry to enamels and weaving. Not surprisingly, they live in extraordinary homes. 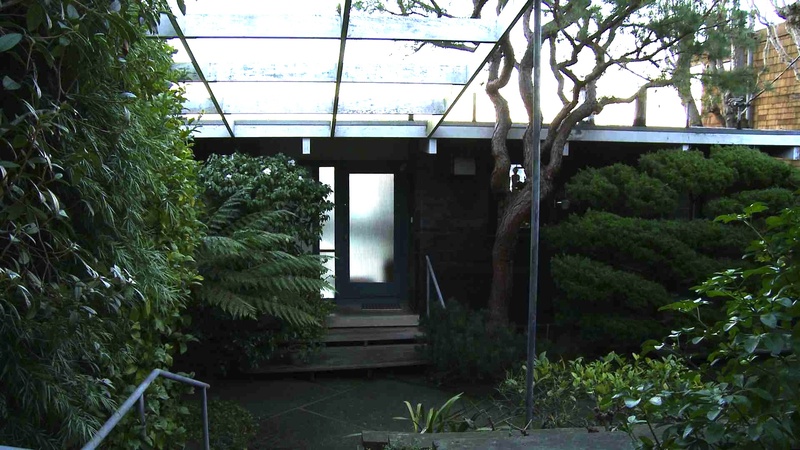 Perhaps the most stunning is that of John Kapel, who designed his house with architect Jerry Weiss. 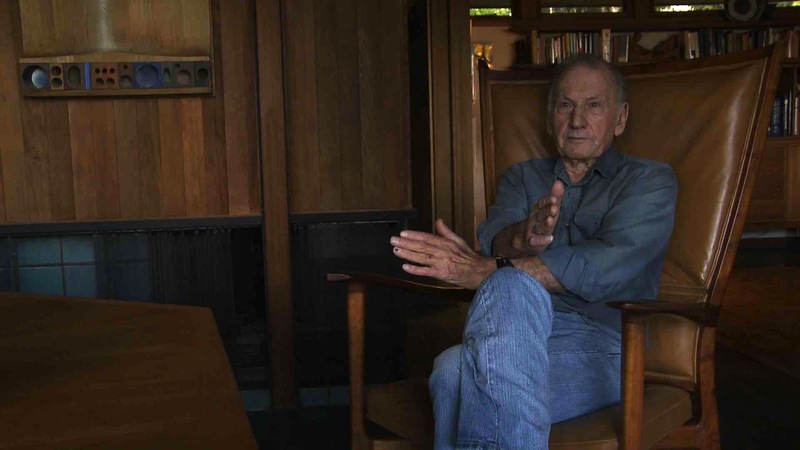 This photo of John sitting in one of his studio chairs (which will be in the exhibition) doesn’t fully capture the beauty of his home, but it does suggest the environment, with its blue tile floor, hand-built wood furniture, and sculpture – all by John. In this photo, he’s talking about the design of the chair, and the subtle geometry that make it visually appealing from various angles. John Kapel at home in Woodside. 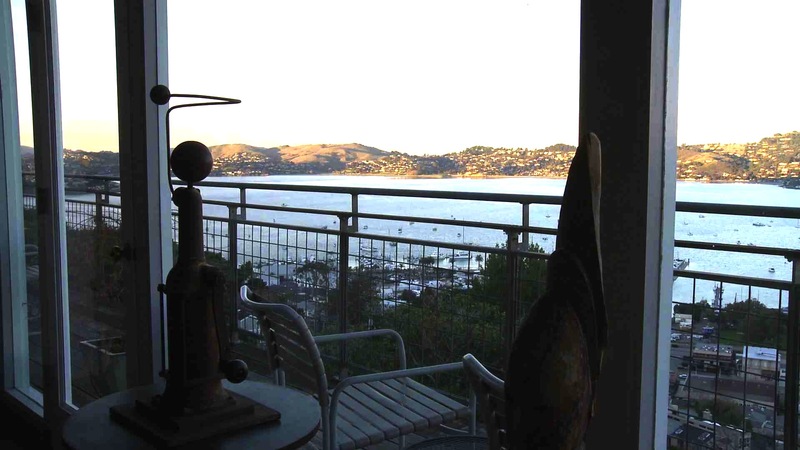 The setting is spectacular as well – nestled into the hills above the San Francisco Bay, in Woodside. John Kapel's home, from the road. 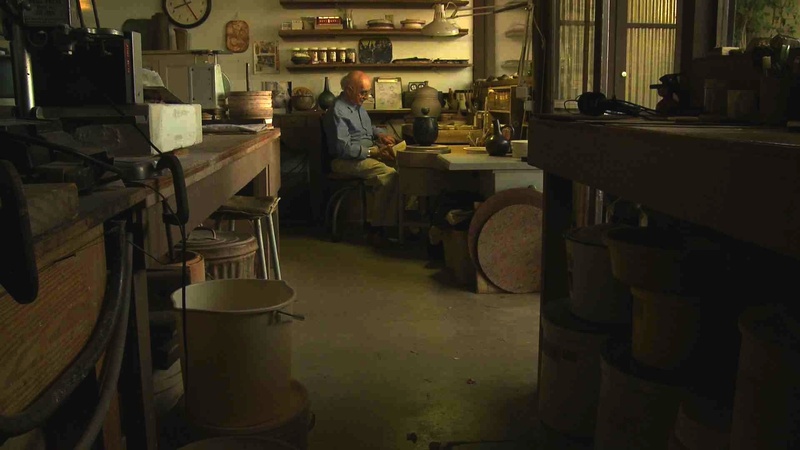 We also visited ceramist Harrison McIntosh at home high on a hill in Claremont. 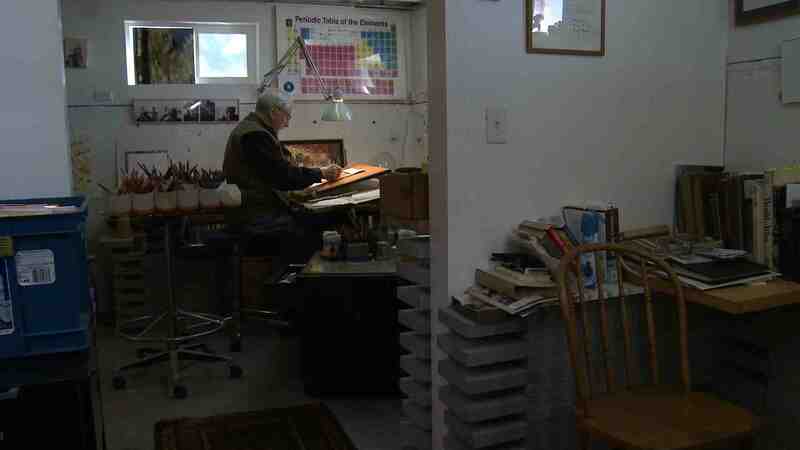 Here he is in his studio, at the same workbench he’s used since the 1950s, when he shared the space with Rupert Deese. Harrison McIntosh in his studio. 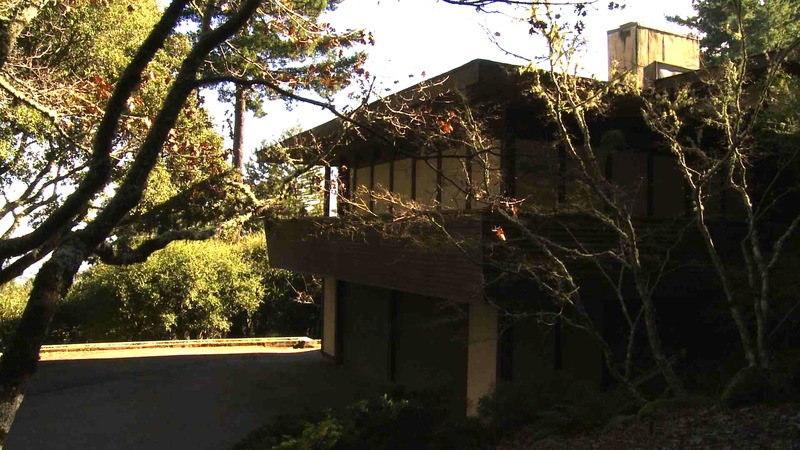 The rustic modern house was designed by architect Fred McDowell for Harrison and his wife Marguerite and their young family in the 1950s. Here it is seen from the rear patio. 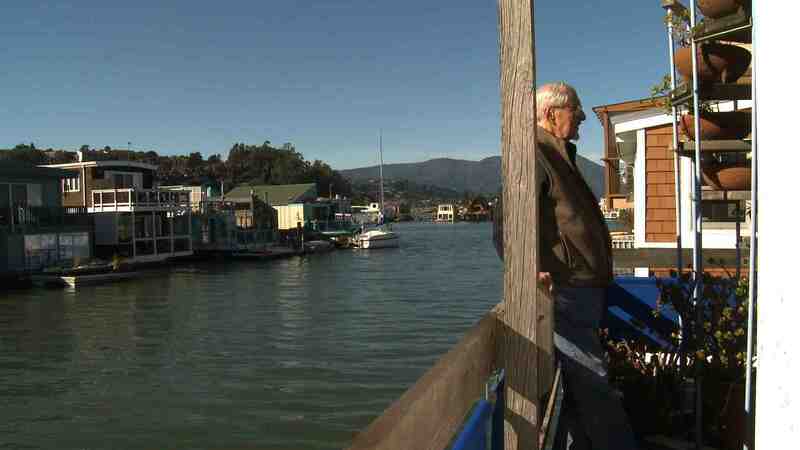 Gene Tepper lives and works aboard a houseboat in Sausalito. Here he is on his back deck with Mount Tamalpais in the background. Gene Tepper in his studio. 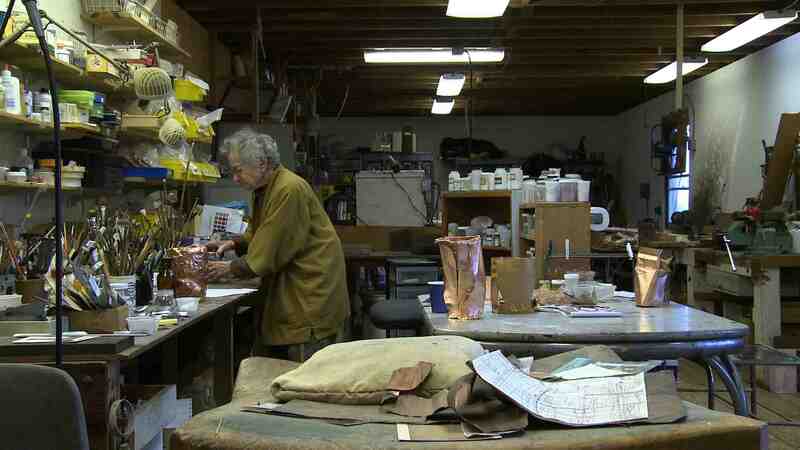 Just up the hill from Gene, June Schwarcz is still producing in her enamel studio, in the basement of her small but exquisite home overlooking the San Francisco Bay. 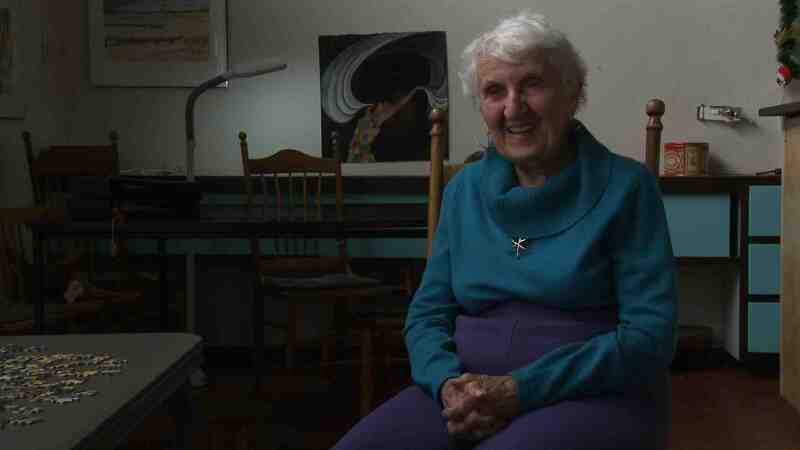 June Schwarcz in her studio. Jeweler Merry Renk lives on a narrow winding street in San Francisco’s Castro neighborhood. She bought the house and—as she proudly tells it—paid off her mortgage all by herself in one year (she was widowed when her first husband’s plane went down in World War II) with her teaching income. 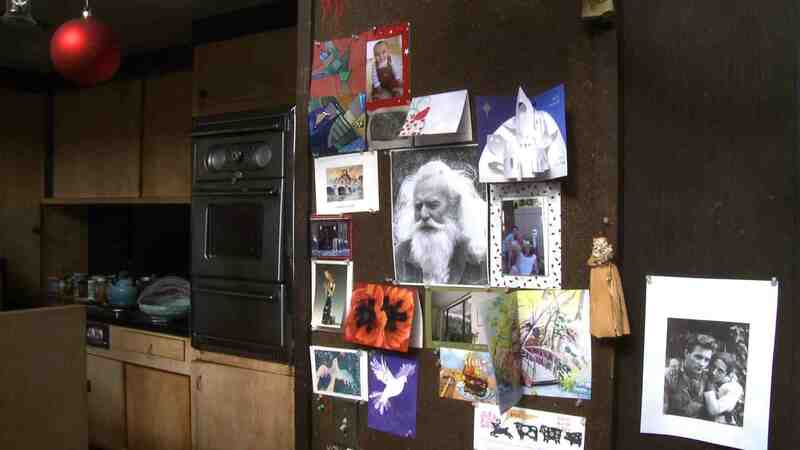 A wall of family photos and mementos near the kitchen. 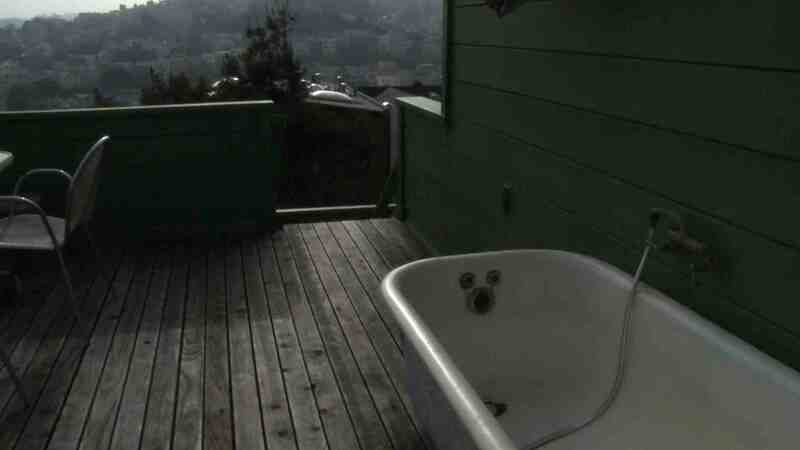 …though my favorite part is the clawfoot tub on the back deck overlooking the city. A tub with a view. 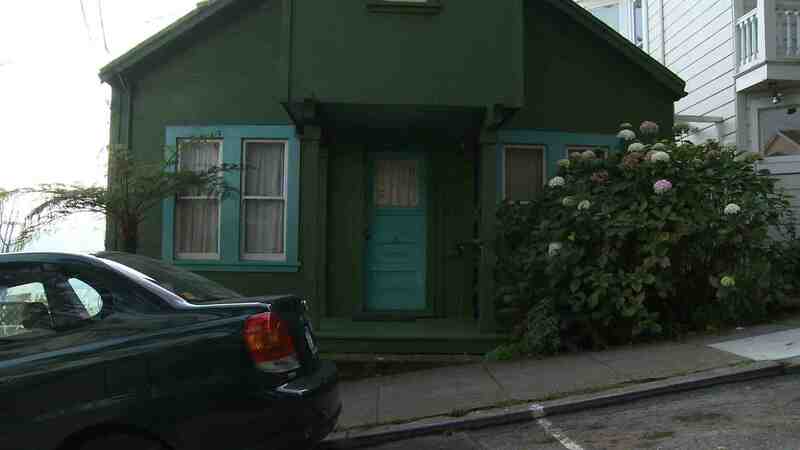 We also made it over to Berkeley, to textile artist Kay Sekimachi’s home and studio near the university. Here’s Kay sitting in a chair by Sam Maloof, one of the other designers in the show. 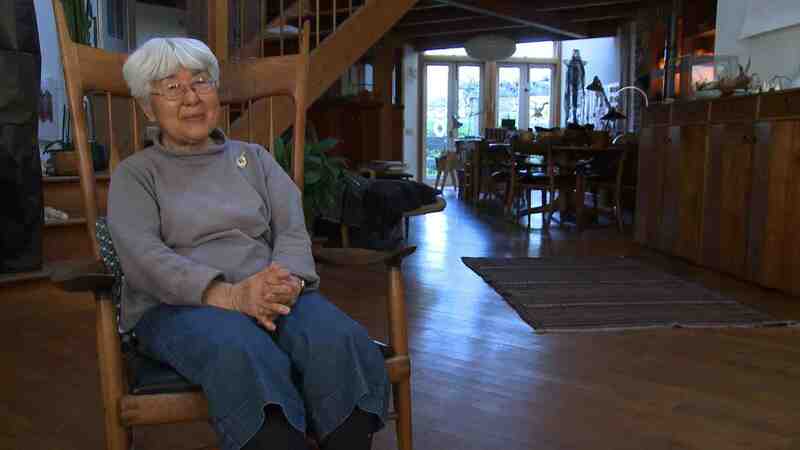 Kay Sekimachi in a Sam Maloof chair. 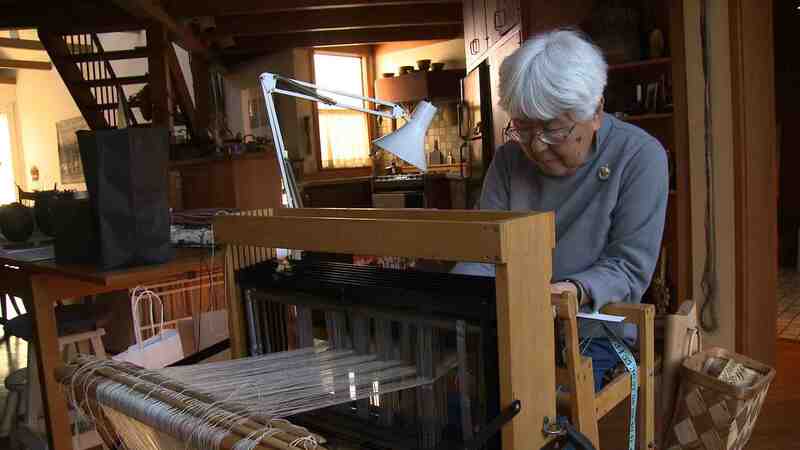 Watching Kay weave on one of her looms is mesmerizing. Kay at one of her many looms. Curators Bobbye Tigerman and Wendy Kaplan are hosting a discussion at Dwell on Design this weekend, at 2 pm on Friday. 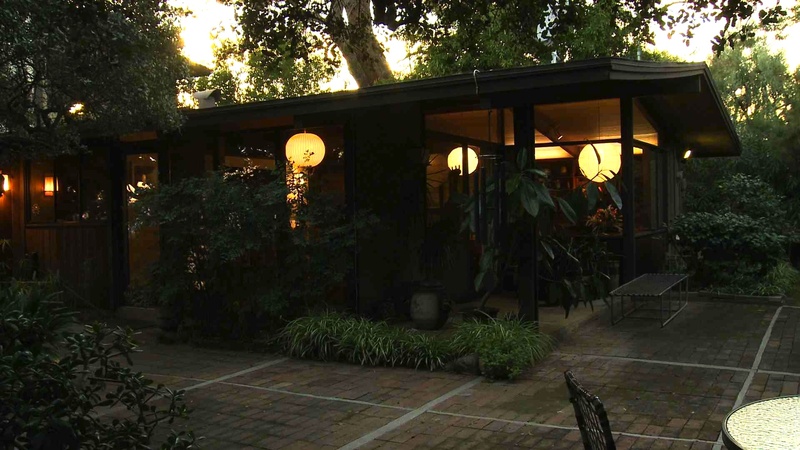 They’ll talk about the exhibition and California’s unique brand of mid-century modern. Later this summer, we’ll share full video interviews with the designers you see here and more. A few months ago, the Jamal Dance Art Theater was approached by LACMA to conceptualize a performance in conjunction with Gifts of the Sultan: The Arts of Giving at the Islamic Courts. 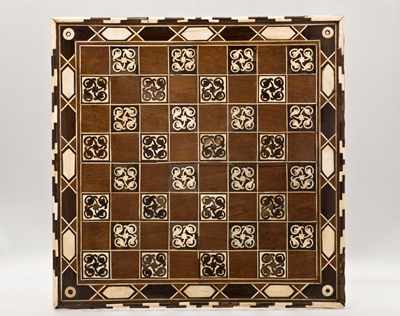 Jamal, the artistic director of the company, explored the exhibition and decided to focus on the exchange of chess and backgammon between India and Persia. He decided to use Bharatanatyam (a classical Indian dance style) as the dance to represent India, and he asked me to choreograph a section for the performance. Since I am both a member of the company and an employee at LACMA, I’m especially excited for the performance to take place at LACMA this Saturday and Sunday. The performance itself is structured to show the arrival of Indian emissaries, who are welcomed to the Persian court with gifts and a court dance. The emissaries then perform a Bharatanatyam dance for their hosts, the portion which I choreographed. I used the original game of chess and its evolution to the modern version of the game as my inspiration. The original game is believed to only have had four pieces: infantry, cavalry, elephants, and charioteers. These four pieces evolved into modern chess’s pawns, knights, bishops, and rooks. 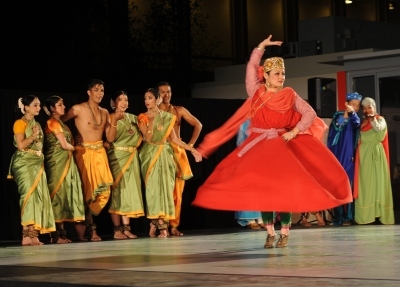 With a few abstract Bharatanatyam sections thrown in, the Indian dancers show the Persian court the basic movements of the various chess pieces. After another brief discourse between the Persian hosts and their Indian guests, and a fantastic solo performed by Karen Ochoa, the game of chess is instructed and then a live chess game is played. In my opinion, this is the climax of the performance, and where Jamal’s brilliance as a director comes through. Given the wide range of styles and ethnicities of his dancers, Jamal decided that each of us should take our own forte and use that to inform our movement as the various pieces we represent on the stage. Collectively, we have ballet, modern, jazz, b-boying, West African, Ballet Folklorico, Flamenco, Persian folk, Armenian folk, Kuchipudi, and Bharatnatyam dance styles represented. It’s a very exciting section to perform as a dancer, and is sure to be a crowd-pleaser. A little less than two weeks remain to see Human Nature, Contemporary Art from the Collection, on view in BCAM through July 4th. The show is a rich presentation of contemporary work since 1968. We had the chance to talk with two of the artists in the show, Charles Gaines and Carlee Fernandez. Their work appears in the first gallery, the same one that features the video piece Walk with Contrapposto by Bruce Nauman (1968) and S.O.S Starification Object Series (Guns) by Hannah Wilke (1974). The Gaines piece, Trisha Brown Dance, Set 3, (one of a series of twelve, originally shown at John Weber Gallery and Leo Castelli Gallery in 1981) includes methodical charts and graphs based on photographs he made of the dancer Trisha Brown. Sol Lewitt helped Gaines arrange the project with Brown (a nice detail, since Lewitt’s own Wall Drawing #295: Six Superimposed Geometric Figures, 1976 appears in the next gallery in the show). The work by Gaines is rigorously conceptual (a thoughtful response to expressionism, as he explains). In the same gallery, Carlee Fernandez’s portrait/self-portrait titled Portrait of My Father, Manuel Fernandez, from 2006, reflects a different sensibility, touching on gender and identity – just one of myriad juxtapositions in the show that point to the diversity of contemporary art and artists, particularly in Southern California. 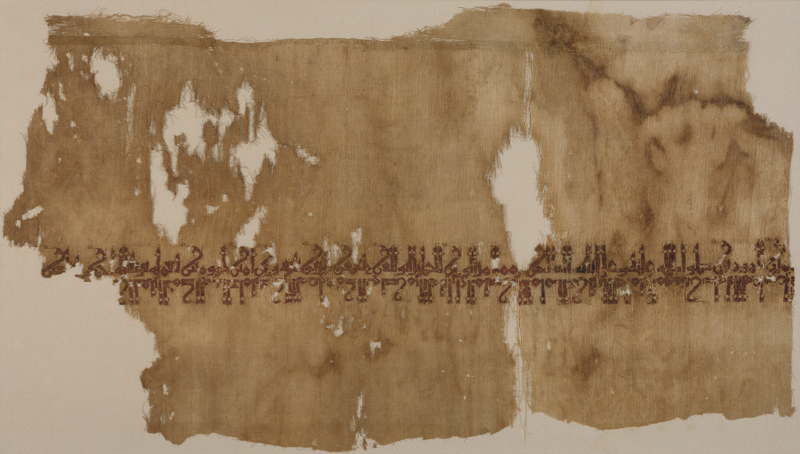 At first glance, this Tiraz fragment, currently on display in Gifts of the Sultan, might be mistaken for having an embroidered or painted inscription (read from right to left; the bottom row is upside down). 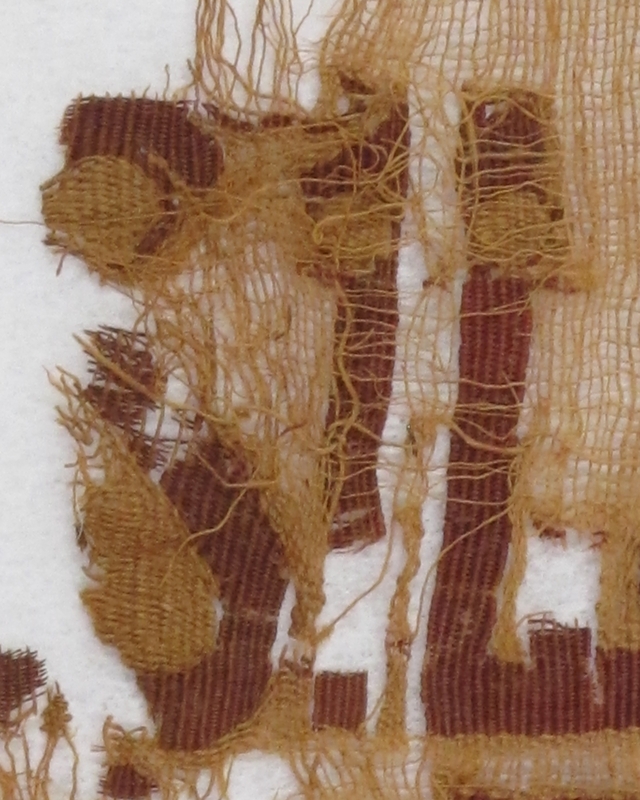 Closer inspection reveals that letters were formed during the weaving process using the tapestry weaving technique. So what is the tapestry weaving technique? Like a plain weave—the simplest of all weaving techniques—a tapestry weave involves weft yarns going over one warp, under one warp. Tapestry is a variation of plain weave where colored wefts still go “over one, under one,” but they are packed so closely together that the warps are completely covered. 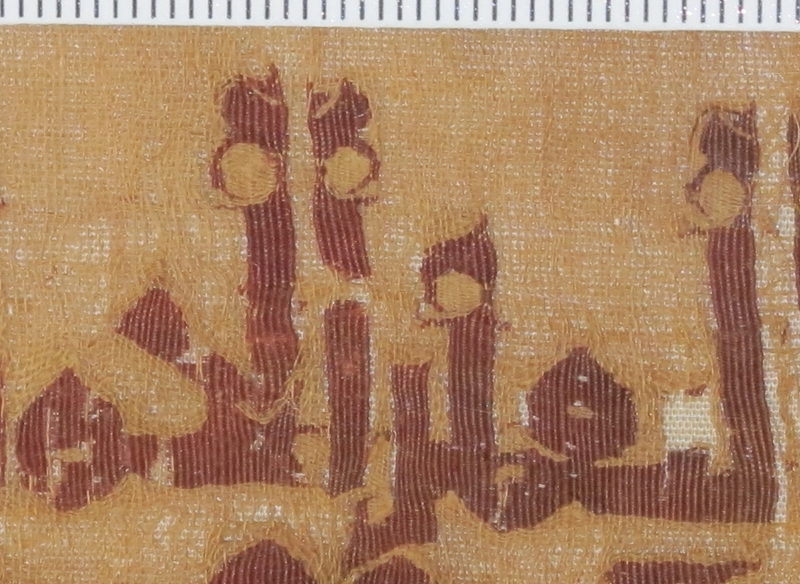 Look closely at the back of this textile and see the fine cream-colored wefts floating behind the brown and cream tapestry woven letters. A few of the warps also float behind, assuring that the bulky tapestry weave fits perfectly in place. These “floats” are picked up again after the letter is woven and weaving the cream background resumes. 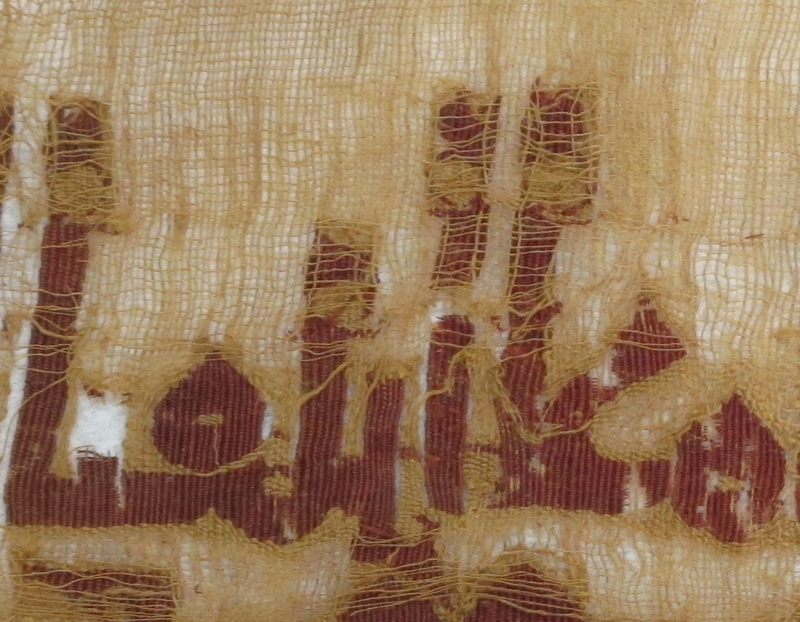 This textile is too delicate to sew through with a needle and thread, so the question is, how to hang it on the wall? 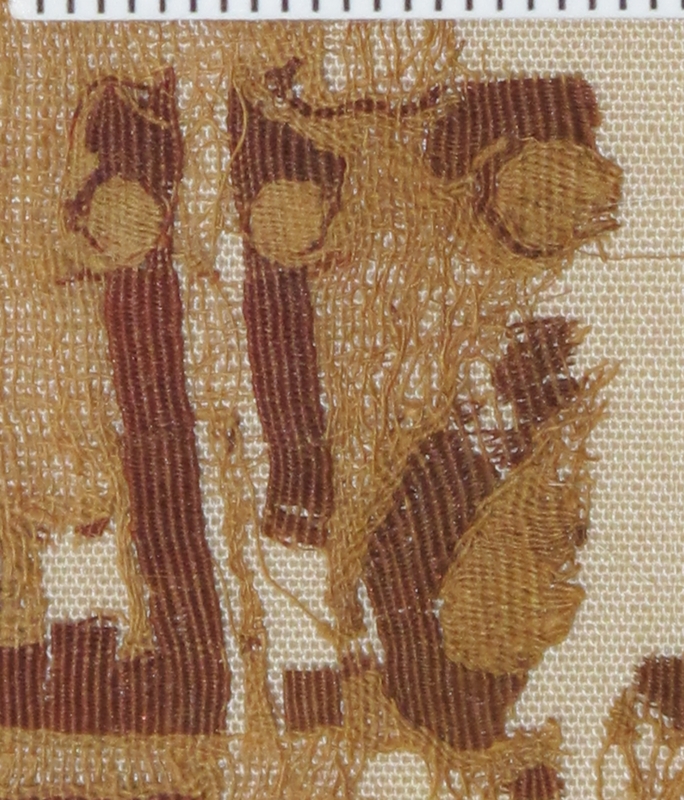 This is one of only a small number of textiles at LACMA that is displayed using a pressure mount. The textile is placed on a padded surface and a UV-filtering acrylic glazing (a generic term for Plexiglas) is placed directly on top of the textile and secured. There are several reasons why this technique is used as a last resort. Since reversibility is always desirable, one of the challenges with acrylic glazing is the build-up of static electricity. When lifting off the glazing, the textile can cling to it or crumple up—and no one wants to see that happen! You are currently browsing the Unframed The LACMA Blog blog archives for June, 2011.